Social media has seen plenty of changes throughout 2017. Twitter upgraded to a 280-character limit. Snapchat and Instagram continue to add new tools, filters, and features. Live stream videos have been incorporated into Instagram and Facebook, becoming a wildly popular addition. 2018 is sure to bring more innovative and interesting developments to these platforms’ functionality. With 2017 coming to an end, it’s time to start planning your business’ social media marketing strategy for 2018. Social media trends are constantly evolving, so it’s important to start familiarizing yourself with expected trends in 2018 to start strengthening your business’ social presence. Ephemeral content is short-lived content that usually disappears after a viewer sees it or after an average time period of 24 hours. Examples of ephemeral content are Facebook, Instagram and Snapchat stories. Snapchat was the first social media app to implement ephemeral content as the basis of their app, by allowing viewers to send pictures to other people and have these pictures disappear after 1-10 seconds. The same goes for a user who posts a Snapchat story, a Snapchat story will automatically delete after 24 hours. 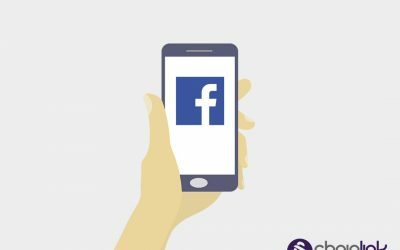 This content became so popular among millennials and generation Z, other social media sites like Facebook and Instagram have added ephemeral content to their sites. Since temporary content is short-lived (only available for a limited amount of time) it increases the feeling of FOMO (fear of missing out) among your audience and potential customers, which results in your audience taking fast and maybe immediate action. Customers consider short-lived content more authentic and as opposed to sponsored ads or promotional, brand-focused posts that encourage customers to purchase. Temporary content is an easy way to let your audience preview upcoming projects, events, or products, offer limited time promotional deals, and give a behind the scenes look at your business. It’s easy for users to access content because all that’s needed is a QR code or Snapcode for users to view your content. It’s believed that focusing on Generation Z is the next big thing in all aspects of marketing. The difference between Generation Z and Millenials, as well as other generations, is that Generation Z has grown up with access to a wide range of available technologies that have been introduced, such as smartphones, the internet, social media, and more. A study done by Goldman Sachs shows that Generation Z is more valuable to businesses today than millennials. With over 70 million in size and growing, with the oldest members of Generation Z are entering college, they are rising in influence and will soon outnumber Millennials. In the study done by Goldman Sachs, they report that Generation Z accounts for $44 billion of spending power, and that 93% of parents reported that Gen-Z children have some influence on household spending and purchases. This is important because a Gen-Z individual is very different than a Millennial born in 1990. Digital marketers need to develop new social media tactics that are specifically focused on the Gen-Z generation. As Gen-Z individuals begin to enter the workforce and earn their own disposable income, businesses should shift to a strategy that Gen-Z individuals love, such as Snapchat and Instagram. To shift your social media strategy to target the Gen Z demographic, you should begin by trying to integrate them into your brand by helping them to build their own personal brand, while still promoting your brand at the same time. Choose a spokesperson who Gen Z trusts and can relate to come across as authentic. Your business needs to build their trust, so posting photos or videos behind the scenes of your business can also help your brand be authentic in the eyes of the Gen Z consumer. Gen Z individuals emphasize the importance of authentic experiences, so don’t just talk about how great your business is, show and prove how great it is through visuals, working philanthropy into your business strategy, and demonstrating generosity. Advocacy marketing is also been talked about as being the next being thing where a business turns clients, partners, and employees into a source of brand advocacy. Advocacy marketing is a tactic that can help digital marketers gain a competitive advantage by leveraging their online audience to create an organic experience by letting customers become brand advocates through reviews and recommendations. 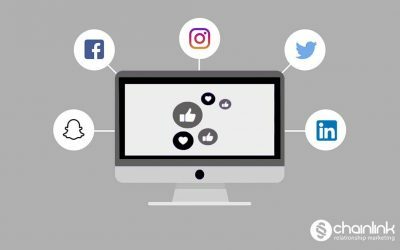 Although brand advocates may not be hugely influential with a gigantic social media following like social media influencers, they can still help your business. They’re easy to find because all you need is to look for people who have had a good experience with your brand, product, or service. It’s recommended to start with customers who have had a good experience with your customer service, as they would be likely to recommend your brand to others. You can also search social media to find people who are praising your brand through direct messages, comments or shares on a Facebook or Instagram post, and even positive reviewers on Yelp. Brand advocacy programs should be beneficial for your business and your advocates. It’s important to remember that your business objectives should not take precedence over your advocates’ goals, since they are a customer, they may have a better understanding of other people’s experience and needs with your business. Provide your brand advocates with value that makes participating in your program worth their time in order to create a mutually beneficial relationship with advocates. 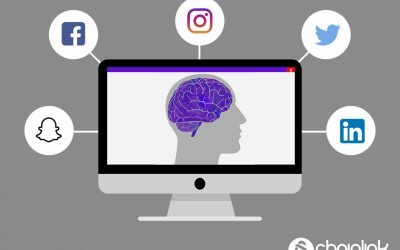 There are a lot of changes in social media expected to come in 2018, so it’s a good idea to start familiarizing yourself with the new trends in order to begin planning your digital marketing strategy to outperform your competitors. Are you looking to make an impact with your company’s social media strategy? Want to learn more about our cutting edge tools and our managed, automated multi-channel campaigns? 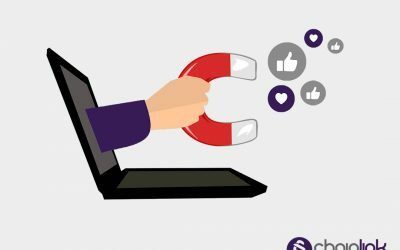 Chainlink Relationship Marketing can help you revamp your social media marketing strategy and help you maximize the number of leads you can generate.